A wide variety of individuals work for St John either as staff or give up their time and skills to volunteer, and the organisation relies on all of them to provide a wide range of services for the community. For 30 years Steve Dorrity has been a keen mountaineer so, three years ago when he saw a call for volunteers to help set up a voluntary cliff rescue service he was quick to sign up. 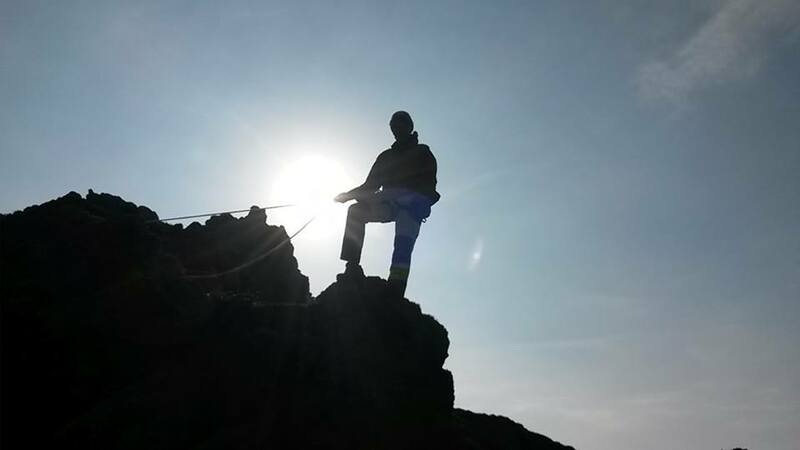 Says Steve: ‘As a mountaineer and climber I have the skills to be able to carry out the roles competently, I know the local cliffs very well, I enjoy the challenges and problems that we have to solve and I enjoy the camaraderie of being part of a team. When you are mountaineering you are normally with just another climber. I enjoy problem solving on the cliffs with 10 to 12 others alongside you. ‘My most rewarding experience was being principle during the rescue of two men caught by the tide while scrambling near Petit Port. The rescue was challenging and technical and being able to assist with a successful outcome was very satisfying. Steve explains that up until three years ago the Cliff Rescue Team was manned by staff members of St John. He says that quite a few experienced climbers showed interest to create a voluntary rescue team and originally it was thought it would take a year for this to happen. Steve explains that the team was already very adept at basic climbing and rope skills. He says that the rescue personnel work with five paramedics who are trained to abseil and climb but who are the ones responsible for treating the casualties. He says that since it was created the team has not been very busy. Steve says for him the satisfaction is twofold. There are three main roles within the team, top team that help anchor the team, face team who go down to the casualty and the principal who is in overall charge of the rescue. Most members are drawn from the mountaineering club and say Steve; they do have a list of people waiting in the wings. We are grateful to the Guernsey Press for use of the imagery and text which were published in January 2017.